We’d love your help. 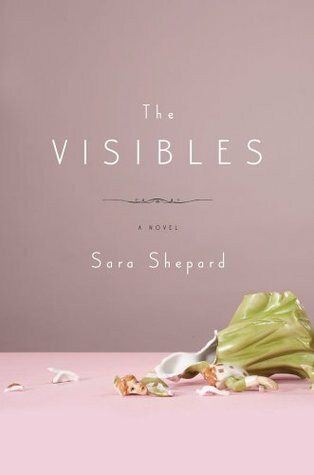 Let us know what’s wrong with this preview of The Visibles by Sara Shepard. The only piece of information that Summer Davis takes away from her years at Peninsula Upper School -- one of the finest in the Brooklyn Heights-to-Park Slope radius, to quote the promotional materials -- is the concept that DNA defines who we are and forever ties us to our relatives. A loner by circumstance, a social outcast by nature, and a witty and warm narrator of her The only piece of information that Summer Davis takes away from her years at Peninsula Upper School -- one of the finest in the Brooklyn Heights-to-Park Slope radius, to quote the promotional materials -- is the concept that DNA defines who we are and forever ties us to our relatives. A loner by circumstance, a social outcast by nature, and a witty and warm narrator of her own unimaginable chaos by happenstance, Summer hangs on to her interest in genetics like a life raft, in an adolescence marked by absence: her beautiful, aloof mother abandons the family without a trace; her father descends into mental illness, haunted by a lifelong burning secret and abetted by a series of letters that he writes to make sense of his feelings; her best friend Claire drifts out of Summer's life in a breeze of indifference, feigned on both sides; and her older brother fluctuates between irrational fury and unpredictable tenderness in an inaccessible world of his making. Uncertain of her path and unbalanced by conflicting impulses toward hope and escape, Summer stays close to her father while attending college, taking him to electro-shock therapy treatments and trying to make sense of his inscrutable past. Upon his departure for a new and possibly recovered life, Summer begins to question the role of genetics and whether she is destined to live out her family's legacy of despair. But it is only when Summer decides to leave New York herself and put off a promising science career to take care of her great-aunt Stella -- bedrock of the family and bastion of folksy wisdom, irreverent insight, and Sinatra memorabilia in a less-than-scenic part of the Pennsylvanian countryside -- that Summer begins to learn that her biography doesn't have to define her...and that her future, like her DNA, belongs to her alone. To ask other readers questions about The Visibles, please sign up. After much consideration, I've decided Sara Shepard should stick to what she knows best, which is young adult fiction. The Visibles, her first effort in the adult fiction world, starts off shakily with a confusing-as-F preface/prologue/introduction that doesn't seem to add anything to the story. The first few chapters delve into Summer's life and provide unneccessary backstory. The Visibles is one of those adult novels I cower away from, the ones where ev After much consideration, I've decided Sara Shepard should stick to what she knows best, which is young adult fiction. The Visibles, her first effort in the adult fiction world, starts off shakily with a confusing-as-F preface/prologue/introduction that doesn't seem to add anything to the story. The first few chapters delve into Summer's life and provide unneccessary backstory. The Visibles is one of those adult novels I cower away from, the ones where everything seems to be totally unrelated to everything else until the very end. I wanted to put the book down so many times during the read because I everything was just so darned confusing. That fact alone is probably what killed the reading experience for me. If I would've known to piece everything together bit by bit, I would've enjoyed it more. It's one of those books that really makes you think and isn't something you just read, like her PLL series. Because I was so used to her Pretty Little Liars and The Lying Game series writing style, I wasn't prepared going into The Visibles. The Visibles overall wasn't my cup of tea: it was confusing, confusing, and confusing. But, Hayden! Wait! Why are there TWO stars if all you've done so far is criticize? I read an Advanced Copy of The Visibles and absolutely loved it! The author has the ability to combine humor, wisdom and sadness in a refreshing and straightforward voice. I could not put the book down, and after finishing, read it again just to see what I might have missed! I'm looking forward to all future books by this author. I'm sure she'll become one of my favorites! The snow globe incident. The snow globe incident. THE SNOW GLOBE INCIDENT. This book should have been called The Visibles: THE SNOW GLOBE INCIDENT OMFG for how often the snow globe incident was mentioned. SPOILER ALERT: SOMETHING HAPPENS WITH A SNOW GLOBE. And when you find out it will not be as monumental as the author hoped! We meet Summer Davis, our heroine... or something, because I'm not sure she is heroic, but Summer Davis is our narrator at any rate. That rate is soul crushingly slow and w The snow globe incident. The snow globe incident. THE SNOW GLOBE INCIDENT. This book should have been called The Visibles: THE SNOW GLOBE INCIDENT OMFG for how often the snow globe incident was mentioned. SPOILER ALERT: SOMETHING HAPPENS WITH A SNOW GLOBE. And when you find out it will not be as monumental as the author hoped! We meet Summer Davis, our heroine... or something, because I'm not sure she is heroic, but Summer Davis is our narrator at any rate. That rate is soul crushingly slow and worthy of beating one's head against the desk. The story largely revolves around Summer's relationship with her father after her mother abandons them, his depression, and whether or not DNA plays a part in her family's very torrid history. Or something. The thing is, the plot is so heavy and full of odd plot devices and points that I'm not sure entirely matter. There is some stuff about science and DNA. There is some stuff about her father's depression, her guilt over taking care of him, her resentment over taking care him, her NEED to take care of him, there is the fact that her father has a secret... When Summer learns about that secret it's not at all moving. It's not shocking. It's just a flash in the pan, really. There is the fact that Summer Davis IS THE BIGGEST SAD SACK THAT EVER EXISTED OH JEEZ, there is her kooky Aunt Stella, there is the reckoning of all these things supposedly coming together: her mother's abandonment, her father's depression, his secret, her obsession with DNA and things happening for a reason, her family history, her inability to let go... I... it... I don't even know how to write a review about this book because I'm not even sure what happens. I mean, stuff happens, and it's all clear, you know, but at the same time it isn't clear and stuff doesn't happen and DSLKGHSLKHYOIRH. IT JUST DOESN'T OKAY?? Towards the end I start to wonder if the main character is not really her father, as he is the only main character that has any sort of resolution. We meet Summer's brother and cousin and friend, and they are resolved, certainly. We see them change, but they are hardly secondary characters. They exist only to tell us more about Summer and what they tell us is what we already know: SUMMER IS THE SADDEST SACK OF SADNESS. Thought provoking, sad, complex. I liked that she didn't settle for an easy resolution although I wanted to scream at some of choices that Summer made. The mystery behind her father's mental breakdown and the way it is developed in the story adds another layer of intrigue. I had higher hopes because I loved the PLL books so much but I should have just re-read them instead. Summer is such an annoying character, the book is all over the place without any resolution for anyone except the dad... her writing is still really good but the plot.... ugh. Sara Shepard’s novel The Visibles: A Novel is the type of story I generally love. It is a bit of a coming of age novel about a girl from a dysfunctional family. The novel is about a young girl named Summer Davis whose mother has abandoned the family. If that isn’t tough enough for a young girl, there is also Summer’s father who suffers from mental illness and an older brother seemingly in denial of it all. 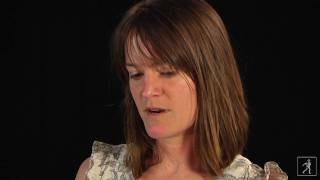 The theme of family, loss, and how family background and situations affects each of us dee Sara Shepard’s novel The Visibles: A Novel is the type of story I generally love. It is a bit of a coming of age novel about a girl from a dysfunctional family. The novel is about a young girl named Summer Davis whose mother has abandoned the family. If that isn’t tough enough for a young girl, there is also Summer’s father who suffers from mental illness and an older brother seemingly in denial of it all. The theme of family, loss, and how family background and situations affects each of us deeply is prevalent throughout this story. A substitute teacher in Summer's Biology class gives a talk on DNA. He tell the class that DNA is all that matters: whether you are sick, smart, stupid, what you look like, how you think, everything about your past and everything about your future. He adds that you cannot escape your parents, and that you are tethered to them for life because of your DNA. While the rest of the class makes jokes about what the teacher has said, Summer becomes obsessed with the Biology teacher's lecture. The Visibles: A Novel is told from the first person, Summer's perspective, and although I enjoyed the story, I had a bit of a problem relating to Summer's attitude in general. Although the story jumps around a bit, as it progresses clues are revealed that made me want to read more. The story reaffirmed how there are often questions left unanswered, pieces of our parents lives that we might never know that affects the person we are today. There was also some fascinating symbolism in this story, specifically about the Twin Towers before and after 9/11 and how it relates to Summer's life. I got this book at a book swap event where there was very little choice, so I gave Sara Shepard another chance even though I pretty much detested "Pretty Little Liars" in all its commercial, formulaic, glory. Now I was in bed, recovering from a cold, and it seemed a good moment to start it. And then I read it in one go - so it seems rather well-written because I found it hard to put down. And yet there is something about it that left me dissatisfied and grumpy. Reading it was oddly upsetting - Hm. Reading it was oddly upsetting - everyone in the book is unhappy, or that's what the main narrator thinks, and you read along and it never gets any better and you want to sit the narrator down and give her a cup of hot milk and explain her a few things. She gets very hung up on small events, and you often don't fully understand why - and then there's a dénouement but it leaves you thinking that there actually wasn't a nœud in the first place. I couldn't figure out whether this was clever and you were supposed to come to the conclusion that Miss Narrator (I just finished this and already forgot her name) finally figures out that she spent her life worried about stuff that was no big deal, or that she was so severely traumatized by her messed-up family that she couldn't be any different (even though her brother could), or whether the author didn't really know what she was doing with the story. The Visibles is not a page turner and my life is complicated at the moment. I really needed to be reading a page turner. But I could not keep the narrating character, Summer, out of my thoughts. Summer's mother never is brought into the novel with a physical presence, but she is a force with which Summer has to reckon. What her issues were that led her to abandon her family and disappear are not explained. Summer is left to hold her father and brother together as a family while trying to find he The Visibles is not a page turner and my life is complicated at the moment. I really needed to be reading a page turner. But I could not keep the narrating character, Summer, out of my thoughts. Summer's mother never is brought into the novel with a physical presence, but she is a force with which Summer has to reckon. What her issues were that led her to abandon her family and disappear are not explained. Summer is left to hold her father and brother together as a family while trying to find her own way. Confusing first person letters are interspersed throughout, not written in Summer's voice, and it is unclear for nearly half the novel who the writer of these letters is. When the writer is revealed, the story takes on a deeper psychological impact with unexpected layers leading to exceedingly believable but completely unforeseen events. My advice to readers is just hang in there because it gets better and better. It took me three weeks to complete it when my usual read is two or three days (unless it is a biography or other nonfiction work). As much as I LOVE Sara Shepard and her books, I couldn't get into this one. The beginning was so confusing and I was so lost throughout the entire book. I can relate to Summer in some ways and I can appreciate some of the sacrifices she had to endure for her father and Stella. However, I did not enjoy this book as much as I had hoped. This was really slow for me. It never had a huge climax in the middle. The characters could have been better developed since I felt like they were pretty two dimensional. I don't know why, but I didn't like All the Things We Didn't Say. I have to admit that I found this book truly disturbing and depressing. Despite saying this I couldn't put this book down - it was truly captivating. i didn't finish this was horrible! I know, I promised I wouldn't DNF any more book this year but I honestly cannot read another word of this. I would maybe pick it up at a later date, to try and finish it, but its a library book that's due back soon and I honestly just cannot be bothered. The writing is nonsensical for one matter. I can barely follow what is happening. It switches from present day events to flashbacks / memory-like scenes with no pause. You have no idea what point of timeline you currently reading about. Also, the prologue made no sense. It was written in second person POV - something I have never read before - and had literally no relevance to the next 25% of the book. It wasn't even the same person narrating - its the protagonist's father... what? The rest of the book just pissed me off. Summer was a terrible friend. She said that her friend's fatness caused her stupidity. but what? How can anyone even think that...? Her brother, Steven, was also incredibly racist. He wouldn't let her talk to a perfectly nice boy from down the road because he was Indian and his father wore a turban. I don't want to read about characters like that. I just cannot support that sort of crap. also very confusing at the beginning as chapters were told by different people which u were not immediately aware of - all first person. were they a girl or a boy? gay or lesbian ? This novel is very different from Sara Shepard's other novels (I have read every single one!). It is more realistic and more deeply emotional. It is a wonderful read I would recommend for adults. Sara Shepard never disappoints. Let's be real! Even though this is by far her most boring book and I didn't know if I could make it through it, I found this her deepest, most compelling novel. I did not know she was capable of writing a novel like this that touched on many personal and family issues and more. She is one of my favorite authors and this book made me respect her even more. This book was very odd. The story was super slow and hard to read and the final secret was very underwhelming. Sometimes the book is about the journey, but not this one. The journey was arduous and very uninteresting because all the characters were underdeveloped and I just found myself not caring about them at all. I usually enjoy Sara Shepard books and I feel like this has something I must be missing, but I did really love the scene between Phillip and the main character as children in the backyard. I want to know more about the parts of their story that were brushed over. So wanted to enjoy this book as a fan of pretty little liars , tried my hardest but couldn't get into it and gave up reading book after chapter 3. Yaaaaawn!!! Slow holiday read. Not much else to say really. This review has been hidden because it contains spoilers. To view it, click here. I had a hard time reading this book because it was so depressing. But I stopped and then continued later and I guess the second half was the more uplifting part (or after reading Everything I Never Told You, this just didn't seem so depressing anymore!) Well written with realistic characters. I would never have expected something this deep and well written from the author of Pretty Little Liars. Summer Davis, a withdrawn, sensitive adolescent, is devastated when her mother suddenly I had a hard time reading this book because it was so depressing. But I stopped and then continued later and I guess the second half was the more uplifting part (or after reading Everything I Never Told You, this just didn't seem so depressing anymore!) Well written with realistic characters. I would never have expected something this deep and well written from the author of Pretty Little Liars. I have always been able to pick up a book, read the first few pages, and know if I will enjoy the book. I read the first few pages of the Visibles and was enthralled. I considered buying it immediately, but was in a hurry to jump on a bus to NYC. Luckily, I recently got it from the library. The book is complicated. It isn't a happy story per say, although I suppose the characters end up better off than they started. But it is a book that tackles a lot of unhappy topics: depression, abandonment, f I have always been able to pick up a book, read the first few pages, and know if I will enjoy the book. I read the first few pages of the Visibles and was enthralled. I considered buying it immediately, but was in a hurry to jump on a bus to NYC. Luckily, I recently got it from the library. The book is complicated. It isn't a happy story per say, although I suppose the characters end up better off than they started. But it is a book that tackles a lot of unhappy topics: depression, abandonment, fear of loss, the way a secret eats you up on the inside, terminal cancer, the dissolution of a marriage. I have friends who prefer to only read about happy topics. I am not that type of reader. At the heart of it, the Visibles is a coming of age story. The narrator begins the novel, a sophomore in a Brooklyn private school, dealing with the fact that her mother has mysteriously left the family, her father struggles with mental illness, and her brother doesn't have all that much to say to her. The one friend she previously felt close to has returned from a year in France, and Summer wants nothing to do with her. She still can't get over the fact that Claire didn't include her enough during Summer's freshman year (and Claire's sophomore year). Genetics becomes Summer's raft - a way for her to make sense of her own life, a world for her to lose herself inside. We watch Summer grow, attending NYU, studying biology, and still staying in Brooklyn to take care of her father as his mental health worsens. The story also contains a series of letters written by Summer's father, a doctor who struggles with severe depression and is still trying to overcome a defining moment from his own adolescence. The novel raises a great deal of questions about what individuals are possible of overcoming. I love pondering how much of adolescence remains with a person. Can we ever outgrow the awkward version of ourselves we were at fifteen or seventeen? Is that the truest version of ourselves? This is yet another dysfunctional family novel. And thus, I loved it. It is also such a well-crafted story. The language is evocative and powerful. As a former New Yorker, I loved the depictions of NYC and Brooklyn.